For about 20 years, the BOSS BD-2 Blues Driver has been at the heart of some of the sweetest guitar rigs around. Many professional guitarists would say that you just can't beat the smoky, gritty sound of the BD-2... until now. The BOSS Waza Craft BD-2W Blues Driver takes that tried-and-true analog overdrive and ups the ante with a custom mod circuit and revitalized circuit topography. The result is an iconic blues-style overdrive with two amazing voices and lower noise than ever. In addition to the Standard mode, the BD-2W gives you a switchable Custom mode, which beefs up your tone and adds a boatload of sustain to your sound. 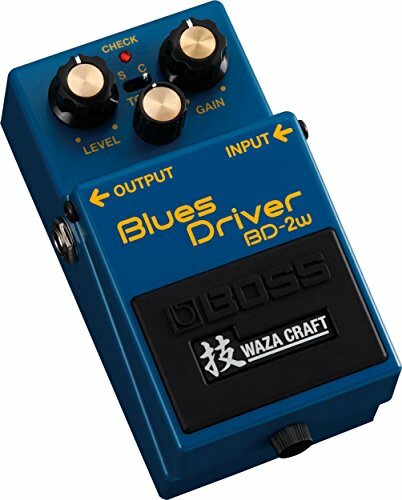 If you dig expressive and articulate overdrive tone, then you need a BOSS Waza Craft BD-2W.